The Ford Aspire is available in 13 variants and 7 colours. Here are more Ford Aspire details such as prices, specifications and mileage. You can also check out the Ford Aspire on-road price and EMI. Our detailed Ford Aspire comparison further helps you compare the Sedan with its rivals. DriveSpark brings you every Ford Aspire information you would ever need. 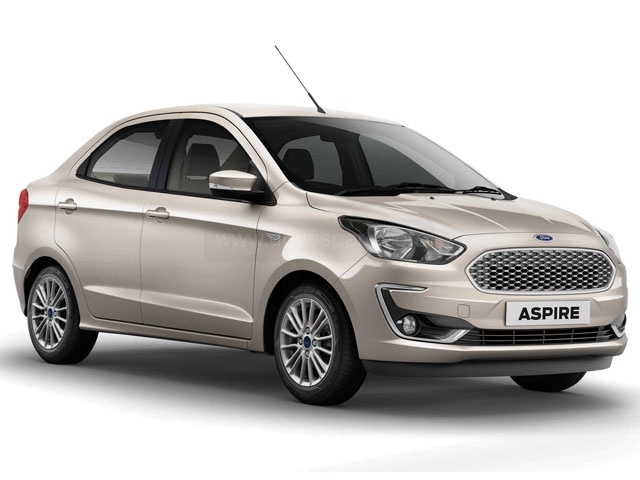 Ford has launched the new Aspire facelift in India with an updated exterior design and new features. The front fascia of the new Ford Aspire gets subtle changes as compared to the outgoing model. The front end of the new Aspire features redesigned grille with chrome surrounds, new sweptback headlamps, round fog lamps, C-shaped chrome inserts around the fog lamp housing and wider central airdam. On the side profile, the compact sedan features new 15-inch alloy wheels. The rear end of the new Aspire features slightly tweaked tail light cluster and new a bumper. The interior of the new Ford Aspire features a dual-tone theme with black and beige colour. The overall design of the dashboard remains unchanged as compared to the outgoing model. The seat upholstery and door trims are upmarket and premium and give the cabin an elegant look. The new Ford Aspire draws power from a new 1.2-litre three-cylinder, Dragon Series petrol engine that produces 95bhp and 120Nm of torque. 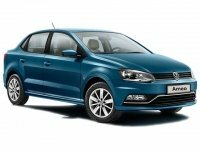 The diesel model is powered by a 1.5-litre engine producing 99bhp and 215Nm of torque. Both the engines are mated to a 5-speed manual gearbox. The new Aspire is also available with a 1.5-litre petrol engine coupled to a 6-speed automatic gearbox. The bigger petrol engine is good for 121bhp. All the three engines boast class-leading power figures and the new 1.2-litre engine delivers a punchy performance and also returns a healthy mileage. The new automatic gearbox ensures a smooth power delivery across the rev-range. The petrol variant of the new Ford Aspire with the new 1.2-litre petrol engine delivers an impressive mileage of 20.4km/l. 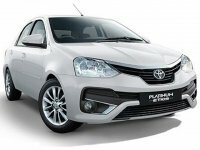 The diesel variant of the compact sedan returns a healthy mileage of 26.1km/l. The new Ford Aspire is loaded with features such a 6.5-inch touchscreen infotainment system with Ford’s SYNC3 system, Android Auto and Apple CarPlay. Other prominent features of the new Aspire include automatic climate control, two USB ports, engine start/stop button, electrochromic IRVM, automatic headlamps and rain-sensing wipers. The new Ford Aspire also comes with a host of standard safety features such as dual front airbags, ABS with EBD and rear parking sensors. The top-spec model of the new Aspire gets additional safety features such as six airbags, electronic stability control, traction control and hill-launch assist. The new Ford Figo Aspire comes with an all-new petrol engine and sports a refreshed look with the new front end. The new Aspire also gets additional features as compared to the outgoing model. The Ford Aspire is one of the best compact sedans in the market and if you are looking to buy a car in this segment; the Ford Aspire should be your choice. 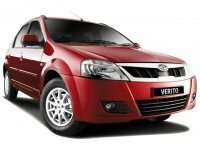 [carDesc] => Ford Aspire is currently offered in 13 variants. DriveSpark helps you discover all Ford Aspire model prices and technical specifications. We encourage you to browse through the research platforms to get Ford Aspire in India mileage, colours, performance, safety and features of all Ford Aspire variants on offer.